Xylitol can be a powerful ally to your dental health. There are some misconceptions about how it may work however. This is worth understanding and paying attention to. Xylitol was recognized by Finnish dental professionals way back in the 1940s. There was a crunch on traditional table sugar. Finland began producing xylitol from birch wood as an alternative to regular table sugar. 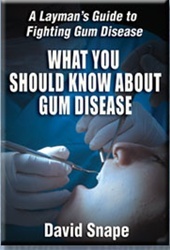 Dentists soon noticed that dental diseases like cavities and gum disease were decreasing as a result of this change. Xylitol is still used in Finland to this day. They put it in all kinds of products. And the Finnish people reap the benefits of this for their dental health. Many dentists and dental professionals have heard of xylitol. Some even tell their patients about it. But there are not enough dentists doing that for the information to make 'mainstream awareness'. So this knowledge is more or less hidden in plain site. The expensive way to get xylitol into your daily routine is to use xylitol gums and mints. There are a variety on the market. But you have to be careful. Some companies use the word 'xylitol' as a way to cash in. To be effective a piece of xylitol gum should have .72 grams of xylitol and no other sugars in it. Don't think you are in the clear of xylitol is a small ingredient in the gum or mint. That won't work. Gums and mints are an easy way to deliver xylitol to your mouth however. For example, you can chew a piece of xylitol gum or a xylitol mint after dinner. That's perfectly natural and no one will think twice about it. There are two reasons that are usually cited. One is that xylitol is a 5 -carbon sugar (as opposed to a 6 carbon sugar like table sugar) Some have said that the bad bacteria can't use 5 carbons very well and that it will kill them if they try. Unfortunately, that is not always the case. For example p gingivalis - one of the primary bacteria responsible for gum disease has a metabolic pathway to digest 5 carbon sugars. As a side note, humans can digest xylitol with no problem. But many animals, like cats and dogs can be poisoned by it. So if you use it, keep it away from your pets. The real reason, in my opinion, why xylitol is helpful is because of its strong basic properties. Driving the pH higher in your mouth does a couple of good things for you. First, the 'bad bacteria' really want an acid environment. If you can make it more basic, they will not do as well and be inhibited in their ability to secrete acids and to reproduce. The second reason is that making your mouth pH more basics allows your natural saliva to inhibit bacteria and to drive minerals into your teeth. If you would like to get some xylitol for this purpose, you can get some by clicking here. here. PS: The most powerful tool you can use at home for keeping your gums healthy is the HydroFloss.